Tonight, Demna Gvasalia presented his latest Vetements collection under a flyover in the middle of Paris – and this time, for SS19, he got personal. This season’s offering was inspired by his experiences of growing up in a troubled country, and the violence he and his family witnessed during the Georgian genocide of 1992. Inspired by “family and violence”, not only was the collection a tribute to his home, it was also designed to educate the rest of the world on Georgia’s struggle – by way of a downloadable app. That’s right: if you download a forthcoming Vetements app and scan pieces from the collection (which featured giant QR code graphics) when it hits stores you’ll be linked to the Wikipedia page that details the Georgian genocide. The move to highlight the historic as well as the ongoing political and social unrest in Georgia (and particularly the capital, Tbilisi) follows closely after the city’s underground nightclub Bassiani – a hub for the city’s creative set – was raided and closed earlier this year, as the country struggles with the strict regime it once lived under and the future its youth are laying out. 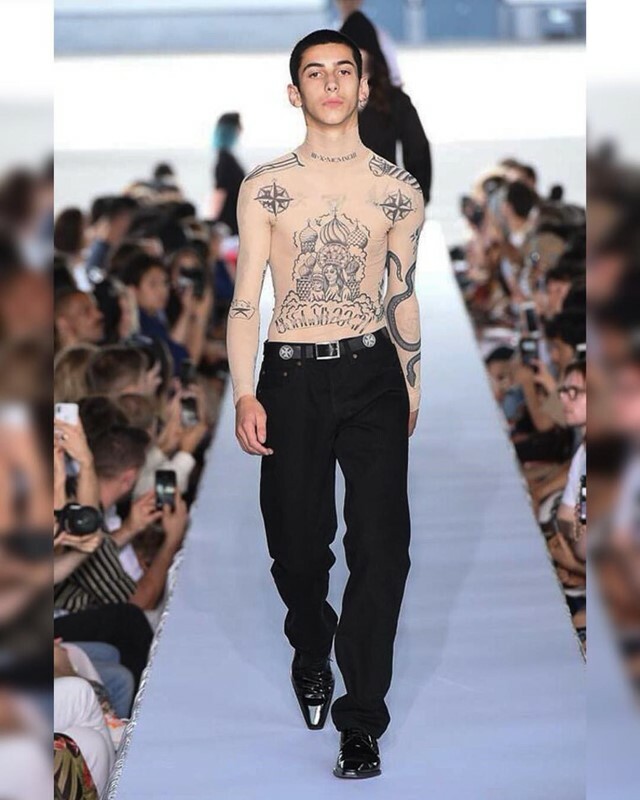 As with his AW18 Balenciaga collection, when the label announced a partnership with the World Food Organisation (and set up a hotline which asked callers a series of probing questions), with his SS19 Vetements offering it appears Demna has established his platform: and now he’s ready to use it to tell his – and his country’s – story.